Berkshire pork - also known as Kurobuta - from hogs raised on pasture with no antibiotics, added hormones or growth stimulants. Our cooperative of small family farms in the Midwest is dedicated to natural methods, creating the best environment for the pigs, and following strict protocols of humane animal husbandry. 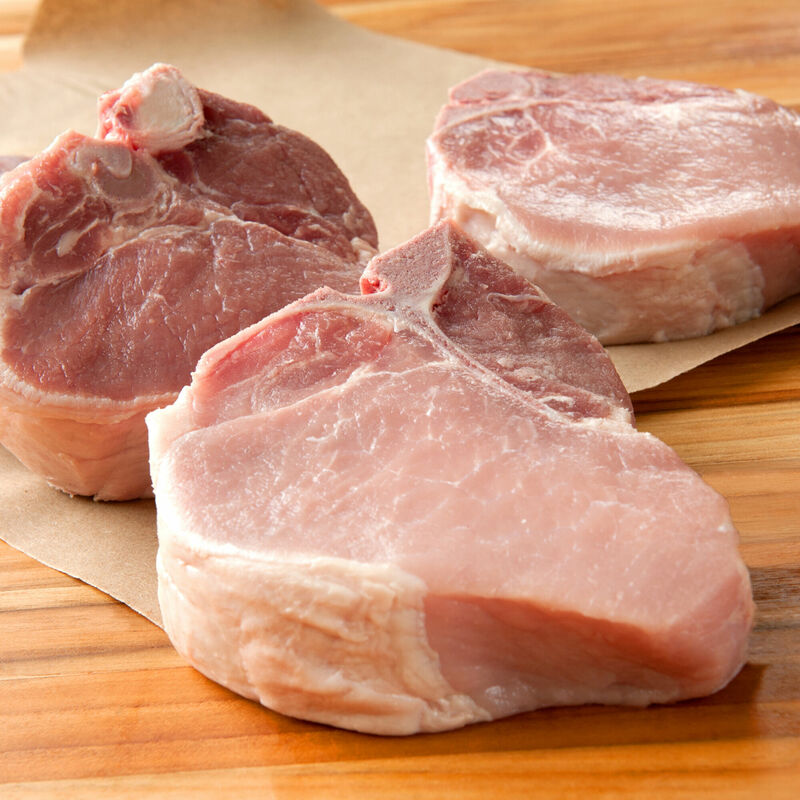 This Berkshire-breed pork is exceptionally tender, well-marbled, flavorful and a world apart from the average commodity pork. *USDA regulations prohibit the use of hormones in pork. Our mission is to find farmers that share our vision of a more humane and sustainable way of rearing livestock. The cooperative of small family farmers that raises our Berkshire hogs is dedicated to traditional methods, allowing hogs to feed on pasture, with access to water and supplemental grain consisting of corn, soybeans and rolled oats. No pesticides, animal by-products or fishmeal are allowed. The majority of the farms are sustainable "circle farms" that raise and grind their own feed for the pigs. Families of pigs are left together, to forage and frolic outdoors on pasture. The indoor spaces offer at least 15 square feet of space per animal, and sows are never put in gestation crates. The cooperative is strict about banning the use of antibiotics and hormones* on each farm and limiting the number of hogs the farms raise. They seek to add another farmer to the cooperative before they add more pigs to any one farm, making the process more humane for all concerned.